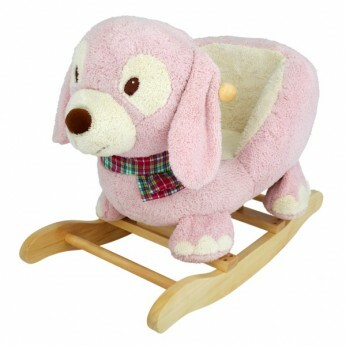 Rocking Dog is the perfect toy for any little ones bedroom or nursery. Cute Cuddly pink dog with colourful scarf. High back padded, cushioned plush seat that secures your baby while riding. This toy costs approximately £49.99 (for the latest and best prices make sure you check our retailer list for the Rocking Dog above). In our review of Rocking Dog we classed it as being suitable for ages 0 to 11 months but recommend you check the manufacturer specific advice before purchasing.